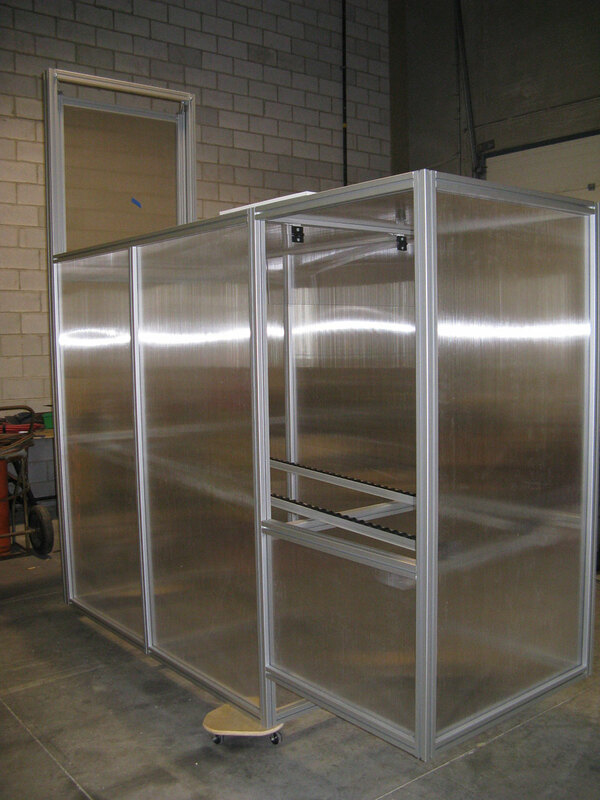 Our customer used this enclosure to gently warm parts prior to assembly to make them more pliable. Parts moved through the enclosure on a gravity-fed roller conveyor. The enclosure walls are Twinwall Polycarbonate which helps to insulate the enclosure and keep the heat inside.